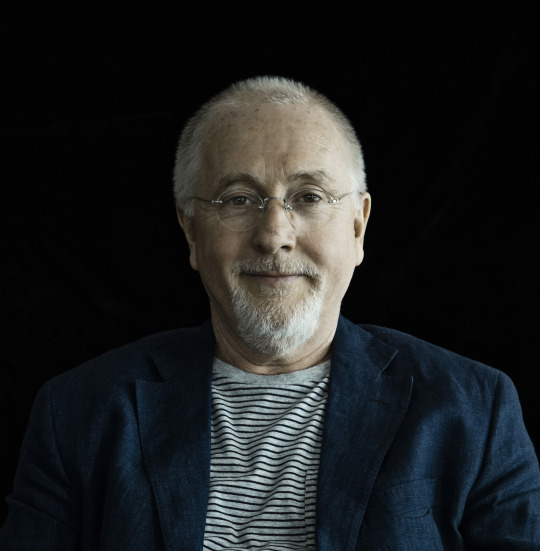 Composer Patrick Doyle is the recipient of the Braunschweig International Film Festival’s White Lion Award. In its anniversary year, the festival is awarding this newly created award for the lifetime achievement of a significant contemporary film composer. In honour of the Scottish composer, the festival is also screening eight of his films, ranging from 1989 to 2015 as part of a Retrospective Series in “Music and Film”. Furthermore, Doyle will be presenting the German premier performance of his live silent film score “It”. Released in 1927, this romantic comedy from directors Clarence Badger and Josef von Sternberg not only made the leading actress, Clara Bow, into an international film star more famous than Greta Garbo, it also coined the phrase “It-girl” – girls who have a certain something. The screening will take place on November 10th at 9:00 pm in the Schloss Arkaden, Braunschweig. The Braunschweig Staatsorchester will be performing under the musical leadership of the English conductor James Shearman. Patrick Doyle is a classically-trained composer. He graduated from the Royal Scottish Academy of Music in 1975 and was made a fellow in 2001. His first film assignment was the adaption of Shakespeare's “Henry V” directed by Sir Kenneth Branagh. Since then, they have worked together on numerous Shakespeare films, including “Much Ado About Nothing”, “Hamlet” and “As You Like It”. He will be collaborating once more with Kenneth Branagh during the summer of 2017 on the up-coming feature “Murder On The Orient Express”. Patrick Doyle was twice nominated for an Oscar, a Golden Globe and a César award for Best Film Music. He was also honoured with a Lifetime Achievement Award from PRS, ASCAP, the World Soundtrack Awards and the ASCAP Henry Mancini Award. Patrick has composed the music for over 50 international films, including “Thor” (2014), “Harry Potter and the Goblet of Fire“ (2005), “Bridget Jones's Diary“ (2001) and “Donnie Brasco“ (1997). The Braunschweig Film Festival will show eight of his films: the animation film “Brave“ (2012), the Mafia film “Carlito‘s Way“ with Al Pacino (1993), some of his collaborations with Kenneth Branagh “Henry V“ (1989), “Much Ado About Nothing“ (1993) and Disney's “Cinderella“ (2015), the science-fiction film “Rise of the Planet of the Apes“ (2011) and Emma Thompson’s Academy Award winning adaptation of Jane Austen’s “Sense and Sensibility“ (1995). On Saturday, November 12, the festival presents Patrick Doyle in a film discussion with his composer colleague, Oscar-nominee Gary Yershon. Yershon writes music for theatres around the world, as well as for radio, television and film and was nominated for an Oscar for Best Film Music in 2015 for his score for “Mr. Turner“. Director: Clarence G. Badger, 1927, 72 Min. Brave, Dir: Mark Andrews, Brenda Chapmann, USA 2012, 93 Min. A fairytale about the fierce Princess Merida who determines her own destiny. Patrick Doyle goes back to his Scottish roots and brings the Highland Princess's wildness to life through his music. Carlito‘s Way, Dir: Brian De Palma, USA 1993, 144 Min. Ex-Mafiosi Carlo Brigante is released from prison early after only serving five years of his sentence and chases after the dream of a decent life. However, his instincts catch up with him and make him permanently into the hunted. Cinderella, Dir: Kenneth Branagh, USA 2015, 105 Min. "Right from the outset, Doyle envelops the listener in a world of fairytale magic and wonder" (www.moviemusicuk.us). A fairytale about a loving protagonist, who masters her destiny with bravery and kindness. Indochine, Dir: Régis Wargnier, FR 1992, 159 Min. Indochina 1930, French colonial rule is ending. A widowed French woman raises a Vietnamese princess as if she was her own daughter. She and her daughter both fall in love with a young French officer. Oscar awarded romantic drama with Doyle score. Henry V, Dir: Kenneth Branagh, UK 1989, 137 Min. In 1415, the young King Henry V goes to France with his invasion army. He has to confront the superior enemy at Agincourt. Patrick Doyle's music and Kenneth Branagh's directing allows us to experience Shakespeare's play anew. Much Ado About Nothing, Dir: Kenneth Branagh, UK/USA 1993, 111 Min. Hero and Claudio's marriage is planned. However, the union of Benedick and Beatrice, who can't stand each other at all, is part of their happiness. Everything could turn out well if Don John did not have different plans. Rise of the Planet of the Apes, Dir: Rupert Wyatt, USA 2011, 105 Min. A substance, designed to help the brain repair itself, gives rise to a super-intelligent chimp who leads an ape uprising. “A dense, intelligent genre film” with a magnificent score by Patrick Doyle. Sense and Sensibility, Dir: Ang Lee, UK/USA 1995, 136 Min. Made destitute by their father's death, the Dashwood sisters try their luck with love. A work of social criticism disguised as romantic comedy. With a star-studded cast, Lee, Thompson, Doyle and Austen have created a masterpiece of feel-good cinema.